Many many individual Christians and organisations support refugees coming to this country. 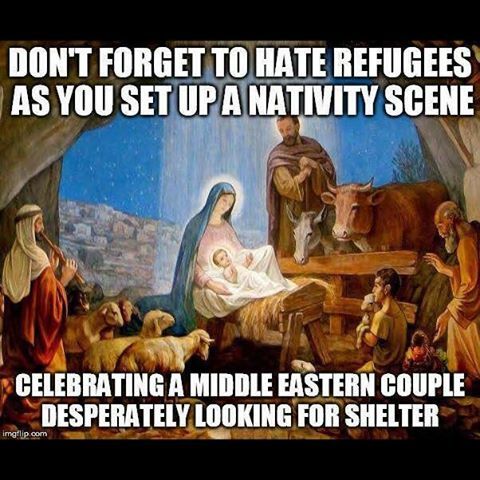 Given that reality, I would go so far as to say that people who do not support refugees are not Christians because they are in breech of the basic tenent of their faith, which is to love your neighbour…as you love yourself. Who would want to be a refugee without a safe place to go to? No one.